This paper presents an original approach for building structures that are stable under gravity for the physics-based puzzle game Angry Birds, with the ultimate objective of creating levels with the minimum number of constraints. This approach consists of a search-based procedural level generation method that uses evolutionary algorithms. In order to evaluate the stability of the levels, they are executed in an adaptation of an open source version of the game called Science Birds. 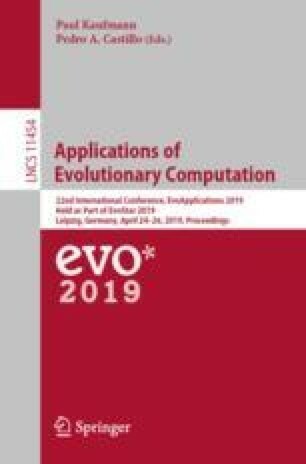 In the same way, an open source evolutionary computation framework has been implemented to fit the requirements of the problem. The main challenge has been to design a fitness function that, first, avoids if possible the actual execution of the simulator, which is time consuming, and, then, to take into account the different ways in which a structure is not structurally sound and consider them in different ways to provide a smooth landscape that eventually achieves that soundness. Different representations and operators have been considered and studied. In order to test the method four experiments have been carried out, obtaining a variety of stable structures, which is the first path for the generation of levels that are aesthetically pleasing as well as playable. This paper has been supported in part by projects TIN2014-56494-C4-3-P s (Spanish Ministry of Economy and Competitiveness) and DeepBio (TIN2017-85727-C4-2-P).